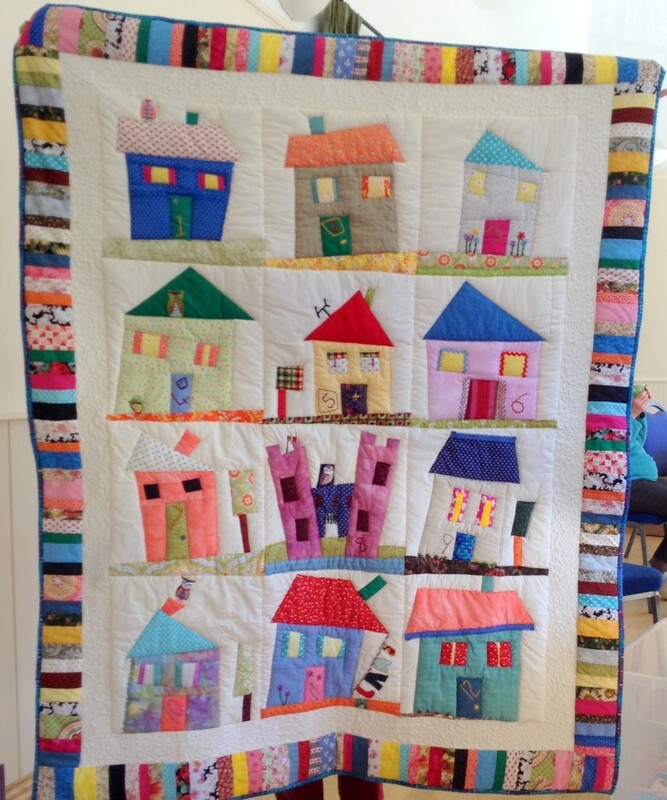 We are planning a group quilt [or quilts] made of crazy house blocks which we can sell/raffle at the autumn show. On Wednesday Judith is going to show us how to make the blocks. So bring fabric bits [though we have a box full already], cutting equipment and a sewing machine [or you can cut pieces on Wed to take home for sewing]. This isn’t your only chance to learn how to make these blocks, so don’t despair if you can’t make it on Wed.